An extensive review in print format will be presented for the first time at the Kulturforum Oberalteich. The Arts Acre Foundation in Kolkata/India in cooperation with GDIZ (German-Indian Association) hosted the Indo-German Art Forum 2017. 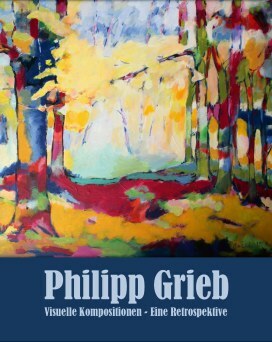 Philipp Reisacher and Philipp Grieb are conducting a week of painting, sketching and leisure in a picturesque environment on the hills of Tuscany. Interested people have a good chance to fill open slots. Instructions and support in German or English. had strong influence on Grieb's painting style in the 1970'ies. He was an intelligent painter and convincing instructor. Painting together in a creative environment with friends and collegues inspired Grieb. The group of the Malwerkstatt stimulated new techniques and ideas from 1998 onwards. On tour with a lightweight bag in the Bavarian mountains, in Greece and Italy, many sketches and watercolours have been produced from views of picturesque and historical places. See Architecture1, Architecture2 and Watercolours. was a permanent subject for practising sketching and painting of people and portraits. It was also an opportunity to organise practise sessions with collegues and share experience. More in Figure1 and Figure2.